National Institutes of Health, 1998-2003. Johns Hopkins University, Baltimore, 2003-2010. Washington University, St Louis, 2010. Researched and taught in broad areas of biophysics, including theoretical thermodynamics, molecular mechanics, drug design, mathematical biology and on how the laws of physics are implemented in biology at atomic levels. The scientific articles on these topics can be accessed from the Publications link below. Provided training and conducted courses on current topics such as Protein electrostatics and thermodynamics of protein structure, function and interactions. 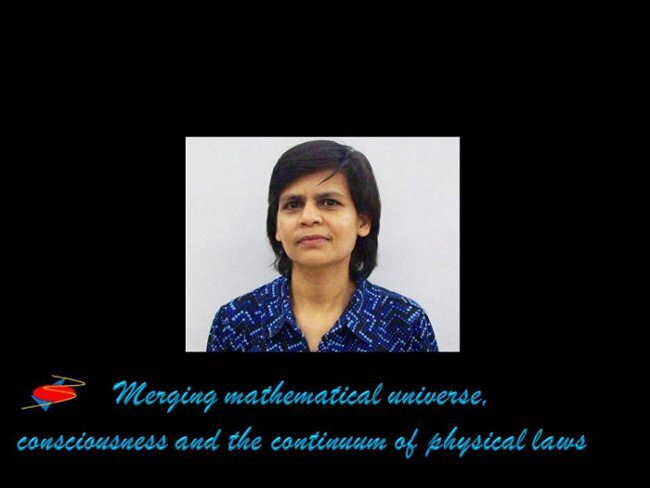 "Until recently I researched in the fields of biophysics, basically on how the laws of physics are implemented in biological systems toward understanding molecular processes in atomic details. After coming across of how beautifully mathematics and physics lead us to the ultimate reality I realized that there is nothing else I can do than to learn more about the intricacies of the all-encompassing universe from the perspectives that the physical sciences offer." Copyright @ 2014 by Neeti Sinha. All rights reserved.